So, let’s begin this beautiful day and think about it…we’re in the middle of Hanukkah, and we’re getting ready for Christmas, and we’re getting ready for the Winter Solstice, and we’re getting ready for Kwanza…it’s this time of joy and yes, this time of fulfillment. So, let’s together sink into our hearts and that place at the bottom of your heart – as John has mentioned – to the seat of our soul. And let’s really feel our beautiful tri-flame. And let’s start with the blue, the Blue Diamond of our beloved Mother, of the Divine Mother, of Mother Mary…however you conceive of the Divine…that Divine Feminine. And this is the gift of Her very essence, the Blue Diamond…that sparkly sapphire blue. So, as if you have a lotus flower, a tri-flame, or menorah in your heart, light one side and feel that Blue Diamond, feel it floating directly down and igniting your tri-flame directly from the heart of the Mother into you. Take a moment and see it. And on the other side of your beautiful tri-flame, or your lotus flower, or your menorah, see and feel and perceive…however you do it…the beautiful Golden Diamond of the Father, of Source. And it is that rich gold, it’s that sparkling Canary Diamond and today as I’m talking to you it almost looks the color of a yellow Topaz only it’s brilliant and it’s sparkling and this is the power, the will, the wisdom of the Father. Feel that sparkling energy coming down and landing in the heart, in your tri-flame…go ahead! And now, in the center, in the beautiful center of your tri-flame is the essence of you…and that is Pink Diamond. And it doesn’t matter whether you travel on the Magenta Ray, or the Blue Ray, or the Red Ray, all of us in the center of our tri-flame have this amazing, sparkling, wonderous Pink Diamond Flame. So, let that come down, directly down through your crown, through your throat, into the seat of your soul, into your tri-flame…sparkle it up, fairy dust it up…and breathe. Now, let’s make sure that your Blue Diamond and your Pink Diamond and your Gold Diamond are equal, balanced. Many of us have a tendency sometimes to lean more to one or the other, so really feel yourself anchored in your Pink Diamond in the center. Now, feel the base of your tri-flame as if now they’re roses and they’re being braided…the pink and the blue and the gold, and the pink and the blue and the gold, and that’s coming down the central column of your spine. Bring it right down to your root and let’s anchor ourselves firmly in the heart of Gaia during this time of real shift. So, go down through your floor, whether it’s wood or carpet or cement, down through the soft earth, the hard earth and the gaseous layers, the water, right down to the heart of Gaia. Go for it! And see or feel Gaia standing there and ask her, ask her from your heart, to anchor you, to hold this cord, this braid. Hand it over to her. Now, come on back up, come up that braided cord, back to the seat of your soul, to the bottom of your heart…and breathe. Now, I want you to take your moment and look at yourself, not as a physical body but as a golden grid – if you’ve ever seen the pictures, the artwork of Alex Grey, that netting, three dimensional/seventh dimensional netting, hatching – through your body and see how clear it is, this beautiful golden grid that you’ve been given by Gabrielle, and see how big it is, how it stretches out, right outside your Seal of Solomon. Now, look a little further and see how this golden grid continues out to each and every one of us so that we’re connected heart to heart to heart, tri-flame to tri-flame, hip to hip, ankle to ankle. Take a moment…and see how we’re standing on the beautiful golden grid of Gaia and we’re just a continuation of that. You know, we wait and we pray and we work for change. But sometimes when the change comes our sense of security…which is important – fight or flight…comes to the forefront. But we are proceeding with certitude, we are proceeding with our Divine Authority and the power of who we really are. So say “Yes!” and you know what you’re really saying “Yes!” to. Greetings, I am Mary, Universal Mother, Mother of love, Mother of change, Mother of One, Mother of all, and yes, we have all been present this day listening and engaging in this conversation, this conversation of change, and this conversation of fulfillment. My beloved ones, I have told you almost a year ago that this is the time of fulfillment…fulfillment of My Plan, fulfillment of your plan, because they are one in the same. We are in congruence, we are in harmony, we are in alignment, and sweet angels of light, so are you! And you are ready…yes, your expression ‘ready, willing, and able’…to embrace this love because that is what the change, that is what the fulfillment, that is what the shift, that is what ascension is all about – it is about the love…it is about My love, it is about the Father’s love, and it is about your love! If you did not carry within your beautiful essence an enormous factor of love, you would not have been selected for this time of fulfillment, of transition, and yes, what you might call mission, and it would not have mattered how strongly you volunteered, you are here, beloveds, because you carry the love. I have invited you many times, and for some of you I have taught you how to dream with me…and my Dream, my Desire, which means sweet ones, “it is done”, is that you know the love of who you are. This is not about power and might, in ways that humanity has previously conceived of it; this is about joy, this is about unity and kindness and comfort and consideration and purity. 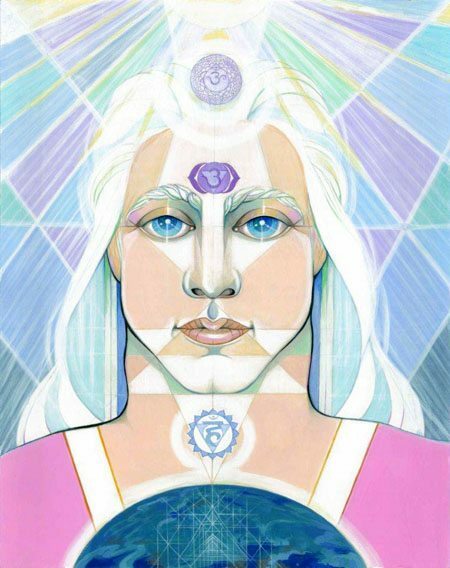 This was a playground…Gaia volunteered to be a magnificent gem, to assume a form of planet – archangel in the form of planet – just as you are angel, or some of you archangel, or some of you seraphim, it matters not because we do not delineate. You, as angel, have taken the form of human or hybrid or somewhere in-between. Gaia assumed the form of planet to be such a place, in physicality, of such beauty, of diversity, of grandeur, of the expression of my Vision, that you would have, that my legions would have a place to experience love in form. My Dream has not changed. So, it is not about relinquishing form, it is about the assumption of the truth of your form, and the truth of that form was never about greed and abuse and control, or lack, or limitation. You’re the anchors of the new. You are the wayshowers and you have been doing this for years. My friends, my children, my beloveds, you have been doing this for eons! This is the fulfillment of your dream woven with mine, of a coming together…yes, it may look, at moments, like chaos and there are certainly those around you who will be in the process of awakening, but you are holding, you are anchoring, you are beaming, you are transmitting, and in the golden grid that Gabrielle has bestowed upon you, you are anchoring the new beginning, you are anchoring the truth, you are anchoring the love. In this new beginning is the original Dream, the original Plan, yes, modified, updated, upgraded to be perfect. And not just perfect in a global or universal, multiverse or omniverse way, but perfect for you. So beloveds, let the old dissolve and let the new emerge. This is truly the New You! Go with my love. Let us celebrate together. Farewell.